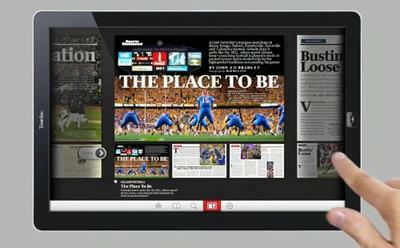 How Much Would You Pay for Digital Magazines? Like many print news organizations, the magazine industry is in desperation for a new way to distribute their content. The most obvious outlet of distribution leads to the digital world, where publishers can add value through in-depth video, slideshows of images, and real time updates to what would otherwise be stagnant information. Because so many people have grown accustomed to the free content of the web, one of the biggest hurdles standing in the way of success is pricing. Previously, TechCrunch sat down with Terry McDonell to get a feel for the direction Time was headed with its digital magazine strategy. 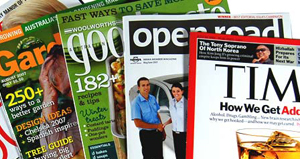 Based on focus groups that Time conducted, participants largely wanted both the traditional paper magazine in addition to its digital counterpart. They also made clear they'd be willing to pay extra to get that second distribution. McDonell said some would even be willing to pay $50 more for the digital version subscription but admitted the study was in no way scientific. issues have sunk below one dollar per issue, provided you're committing to several issues. No doubt publishers would like to charge more per issue and digital distribution might be the way to do it. Apps within the app store have a tendency to slide into the $0.99 price point, the minimum developers can charge for their applications. If each Time Magazine issue was placed at that lowest point, they'd be raking in an extra $12 over the print version. Without printing and distribution costs, the premium doesn't make much sense. As we see magazines make their way onto the iPad, publishers will have to choose their pricing strategy carefully. They could very well charge per issue in an effort to increase revenue but many may stick with the traditional subscription model where issues are discounted with a higher up-front cost. What ultimately matters is how much the consumer is willing to pay. If you're a subscriber to any magazines, would you consider purchasing your content in a digital form or do you still prefer the excitement when a new issue hits your mailbox? How much would you be willing to pay per issue to be delivered digitally? Let us know in the comments.